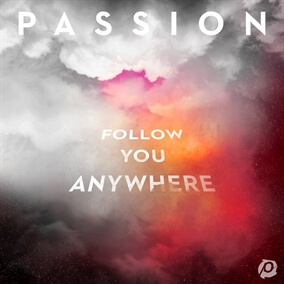 NEW from Passion - "Follow You Anywhere"
"Follow You Anywhere" by Passion released yesterday, unveiling a new 10-track album featuring Kristian Stanfill, Brett Younker, and Melodie Malone alongside Crowder and Sean Curran. "Follow You Anywhere" dropped at the sold-out Passion 2019 where nearly 40,000 young adults from across the globe filled arenas in Atlanta, Washington, D.C., and Dallas. Original Master MultiTracks and other worship-leading resources for "Follow You Anywhere" are now available.